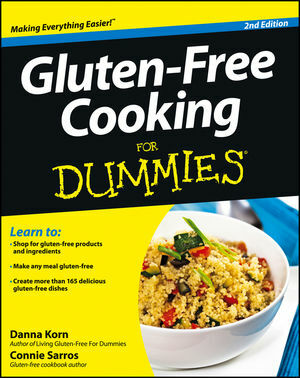 Danna Korn is a respected and leading authority on the gluten-free diet and the medical conditions that benefit from it. She has been featured in People Magazine, on ABC's 20-20, and dozens of other national media outlets. Connie Sarros is a nationally recognized advocate for healthy eating and nutrition whose work has appeared in Cooking Light, the Chicago Tribune, and other publications.